In this contemporary fantasy, the grieving biographer of a Victorian fantasist finds himself slipping inexorably into the supernatural world that consumed his subject. 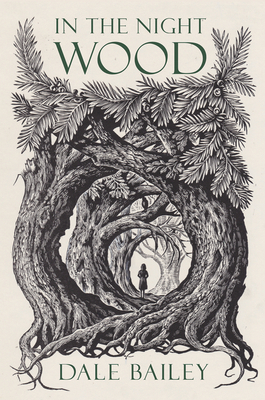 Failed father, failed husband, and failed scholar, Charles Hayden hopes to put his life back together with a new project: a biography of Caedmon Hollow, the long-dead author of a legendary Victorian children’s book, In the Night Wood, and forebear of his wife, Erin. Deep in mourning from the loss of their young daughter, they pack up their American lives, Erin gives up her legal practice, and the couple settles in Hollow’s remote Yorkshire mansion. In the neighboring village, Charles meets a woman he might have loved, a child who could have been his own daughter, and the ghost of a self he hoped to bury. Erin, paralyzed by her grief, immerses herself in pills and painting images of a horned terror in the woods. In the primeval forest surrounding Caedmon Hollow’s ancestral home, an ancient power is stirring, a long-forgotten king who haunts the Haydens’ dreams. And every morning the fringe of darkling trees presses closer. Soon enough, Charles and Erin will venture into the night wood. Soon enough, they’ll learn that the darkness under the trees is but a shadow of the darkness that waits inside us all. DALE BAILEY is the critically acclaimed author of seven books, including The End of the End of Everything and The Subterranean Season. His story “Death and Suffrage” was adapted for Showtime’s Masters of Horror television series. His short fiction has won the Shirley Jackson Award and the International Horror Guild Award, has been nominated for the Nebula and Bram Stoker awards, and has been reprinted frequently in best-of-the-year anthologies, including The Best American Science Fiction and Fantasy. He lives in North Carolina with his family.